Wine collection is a fun hobby. More and more people are getting into the pursuit in California. One of the most important things when starting your own wine collection is to have a safe place to store the wines. 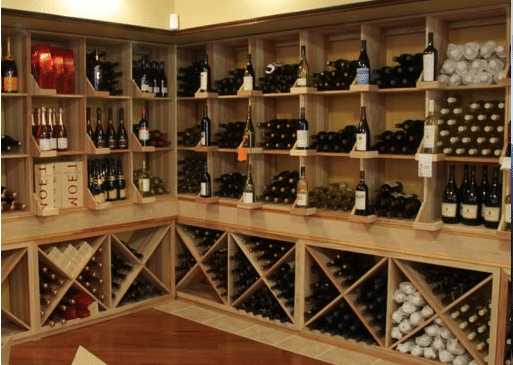 A custom wine cellar with durable custom wine racks is ideal for wine storage. When you start collecting wine, you may encounter wines with different bottle types and sizes. The common challenge that wine enthusiasts face when they find these odd shaped and large size bottles is where and how to store them. Do not hesitate to buy unique wine bottle shapes. There are many at-home accommodations and off-site wine storage solutions that can help you store your varied wine collection. When people hear the term “standard” with regards to wine bottles, they think of the typical red and white wines, like Sauvignon Blank, Merlot or Bordeaux. Basically, standard wine bottle sare high-shouldered bottles with straight sides. Standard wine bottles are generally uniform in shape and size. They are usually 3” in diameter and they fit most wine racks. What’s good about standard-sized bottles is that they are easy to store in a wine rack. If your wine collection is made of standard-sized wine bottles, you do not need to use bulk storage, and you will therefore be able to maximize your storage space capacity. Burgundy wines, such as Pinot Noir and Chardonnay, usually come in wider wine bottles. Compared to standard wine bottles, wide-bodied wine bottles have sloped shoulders and a much wider bottom. Some of these bottles can have very sloped shoulders, depending on the region of France from whence the wine came. Generally, wide wine bottles are 3.5” in diameter. Wide wine bottles cannot be stored in typical wine racks. You can forgo individual racking in favor of bulk storage, but this can be inconvenient when you are looking a particular bottle. Another option is to use a magnum wine rack. Magnum racks are designed to store large format wine bottles. If you intend to store wines in a wine refrigerator or cabinet, you will find that most have large slots included, but may be very limited. Champagne bottles are similar to burgundy or wide-bodied wine bottles, because they are also about 3.5” in diameter. The difference is that champagne bottles are thicker, heavier and are under more pressure. This type of bottle is more capable of enduring pressure. Champagne bottles are designed to withstand 90 pounds per square inch of pressure, which is three times the pressure in a car tire. Moreover, champagne bottles also have distinct indentations at the bottom. Champagne bottles have the same storage problem as wide bottles. Although the solution to storing them is the same, it is important to note that the wine racks for champagne bottles should be very durable. Since champagne bottles are heavier than Burgundy bottles, their weight may cause cheap wine racks to bend. Additionally, since these bottles are under pressure, they should be kept away from bulk storage like diamond racks. Magnum racks are a better option for storing champagne bottles. German wine bottles, or flutes, are known to for their tall and slim bodies with long, elegant necks. Riesling, a white wine made from the Rhine region of Germany, usually comes in these tall wine bottles. The most common problem with German wine bottles is their height. Double deep wine racks are the solution, so that there is enough space to accommodate their length. But even if you store them in double deep wine racks, you can’t stack them end to end. They cannot be stacked with standard-sized bottles either. If you use a wine refrigerator or wine cabinet, you’ll have problems closing the door if they are stacked in this manner. Most wineries make extra large wine bottles to showcase vintages. Large format wine bottles are great for celebrations and commemorations. Storage for this kind of wine bottle is usually a problem. Magnum and diamond racks are generally the solution. Storing a bottle larger than a magnum in a wine rack in your wine refrigerator or cabinet is very unlikely. If you do not have a wine rack to accommodate this kind of wine bottle, you may need to simply keep it in its original packaging. Just make sure that the conditions where you keep it is close to ideal is possible. Wine racks in Los Angeles, California come in various shapes, sizes and designs. If your collection includes wine bottles of various sizes, it is best to have your wine racks custom made to accommodate them all. Wooden custom wine racks are the most common option for wine storage in California. Wooden wine racks can be made from a variety of wood types. The most common include Mahogany, Pine and Redwood. You custom wine racks should not only be durable and functional, but also beautifully designed. This is especially true if you want to flaunt your wine collection and your wine cellar to your guests. To make sure that your wine racks are gorgeously designed, have them planned and built by a trusted wine rack designer in Los Angeles, California. Coastal Custom Wine Cellars is one of the most trusted designers and builder of custom wine racks in California. They make wine racks from the most durable materials, and they offer you the opportunity to choose the material you want. 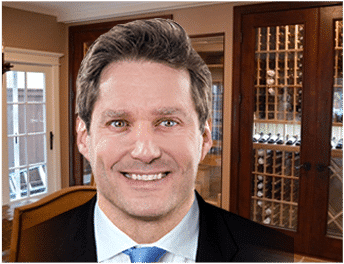 Coastal helps their clients build their dream wine storage solutions by getting their clients’ personal preference and creating a 3D design to interpret their desired wine storage. Coastal accompanies their clients in creating their desired wine storage solution, from the designing or planning phase up to its completion. For more information about Coastal Custom Wine Cellars and their products and services, contact them at (888) 735-8889.